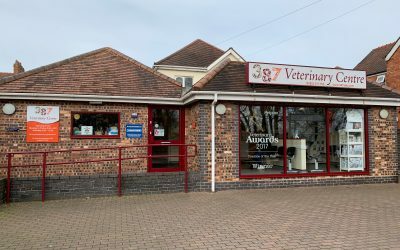 Our premises at 387 Veterinary Centre are bright, spacious and air-conditioned for the comfort and wellbeing of you and your pets during your visit. 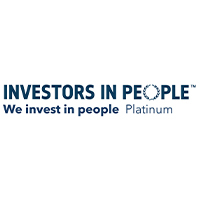 An additional high spec dedicated operating theatre for surgical procedures – and high sterility – only. 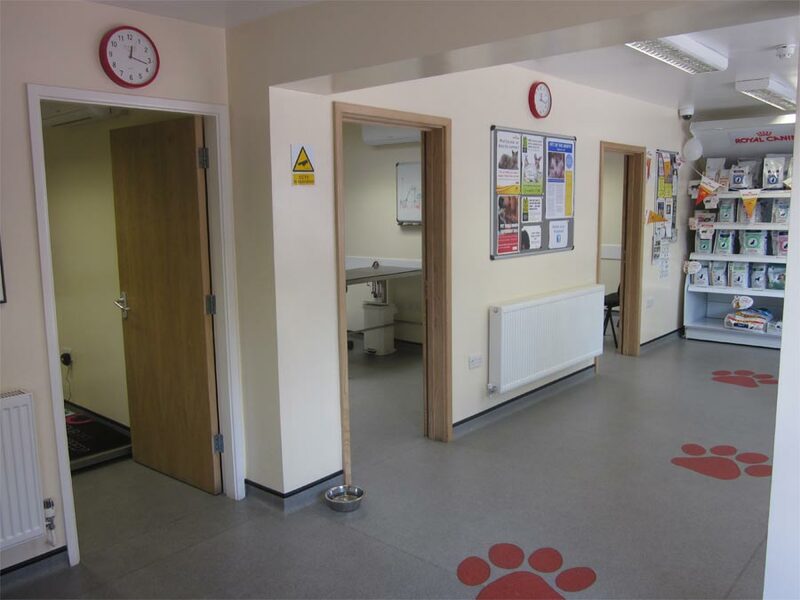 We are constantly reviewing and investing in our facilities to offer the highest standard and provide the best diagnostic approach. 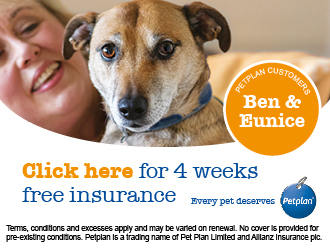 Click here to submit a comment and let us know what you think. 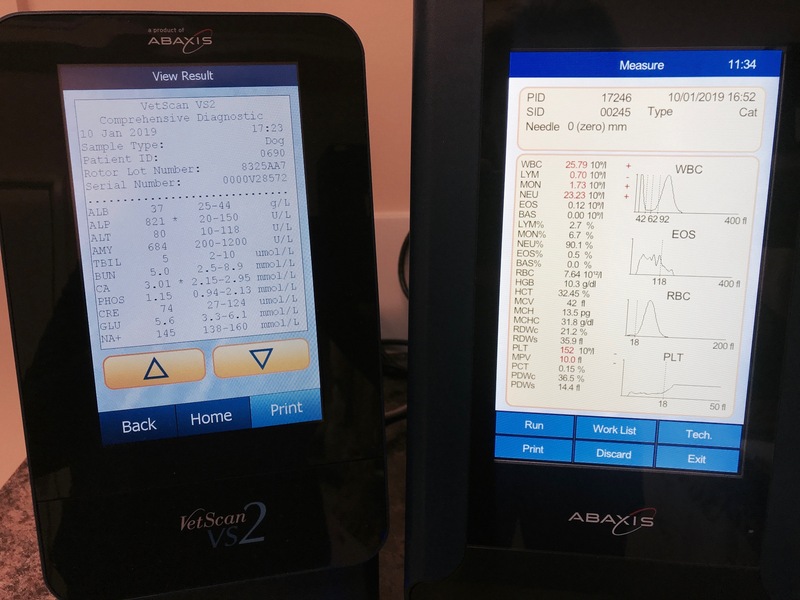 Our laboratory includes both a bio-chemistry analyser for testing blood chemical levels (e.g. 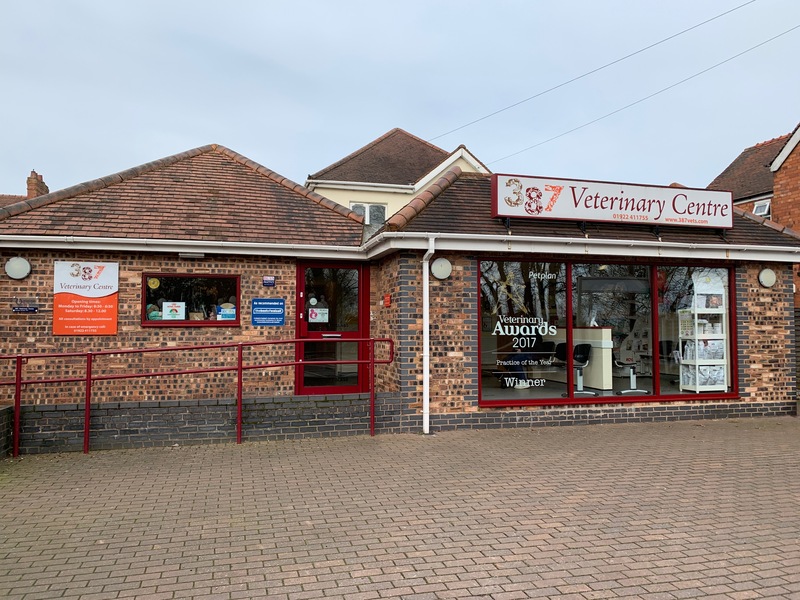 to check kidney and liver health) and a haematology analyser for testing blood cell counts to check for conditions such as anaemia and any increase or decrease in inflammatory cells which can signify underlying health issues. 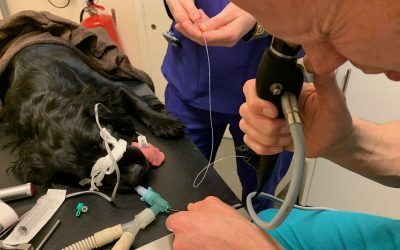 Being able to run blood tests in house when necessary and in critical cases means that we can make faster decisions to best support your pets. Our latest piece of high spec equipment, binocular loupes are a set of magnifying, scratch resistant, fully adjustable lenses suspended from a cushioned headband for comfort and ease of use. The loupes are designed for enlarging the view of the operation site during fine surgery and also for ophthalmic examination at close range. 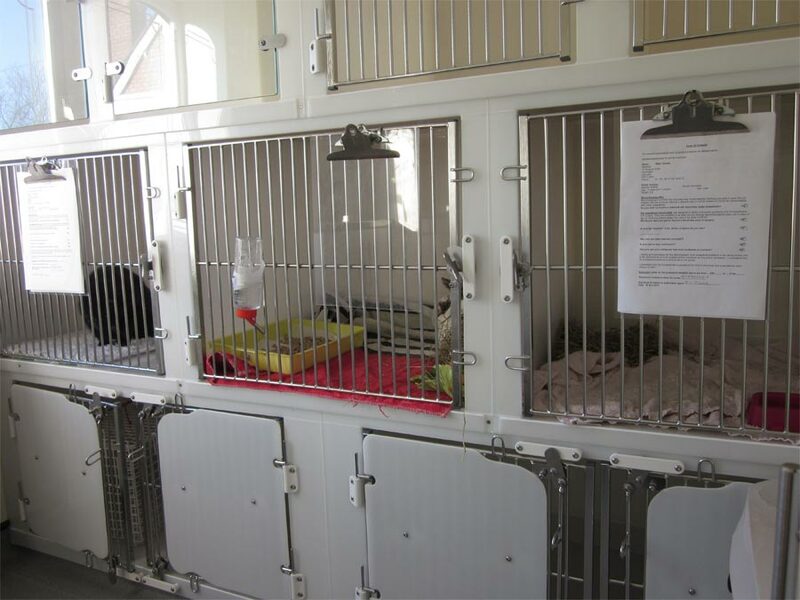 This is a specialist veterinary piece of equipment. 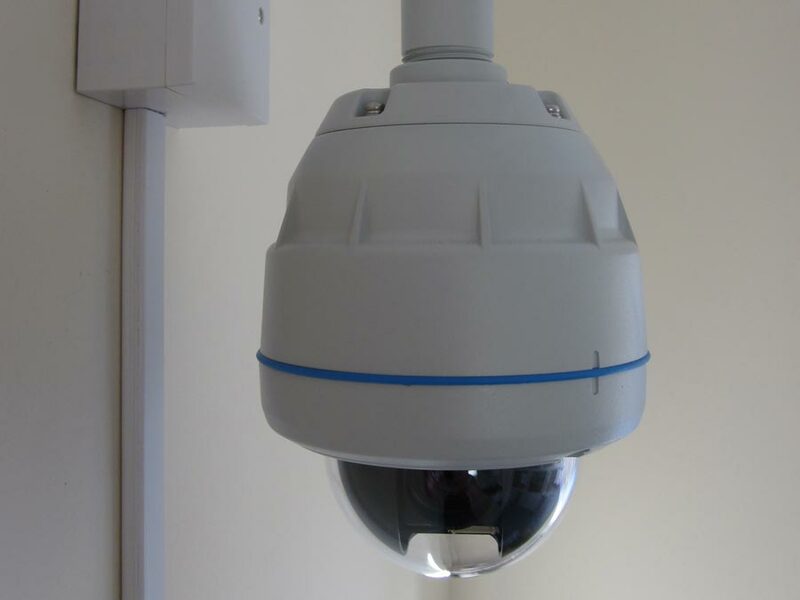 It is only 4mm wide but 68cm long with a tip that can be directed up to 180°. 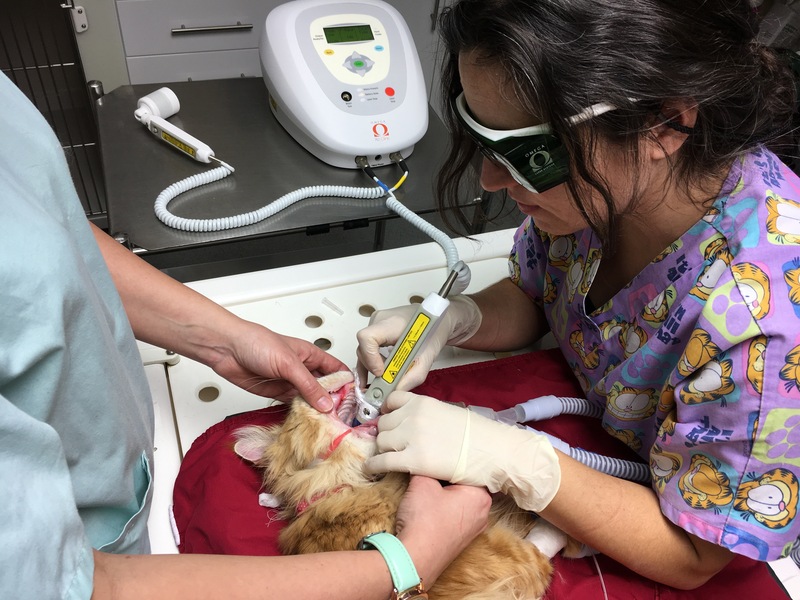 It allows us to visually examine and take samples from the nasal passages right down the airways into the lungs in any animal from the largest dogs to small cats. 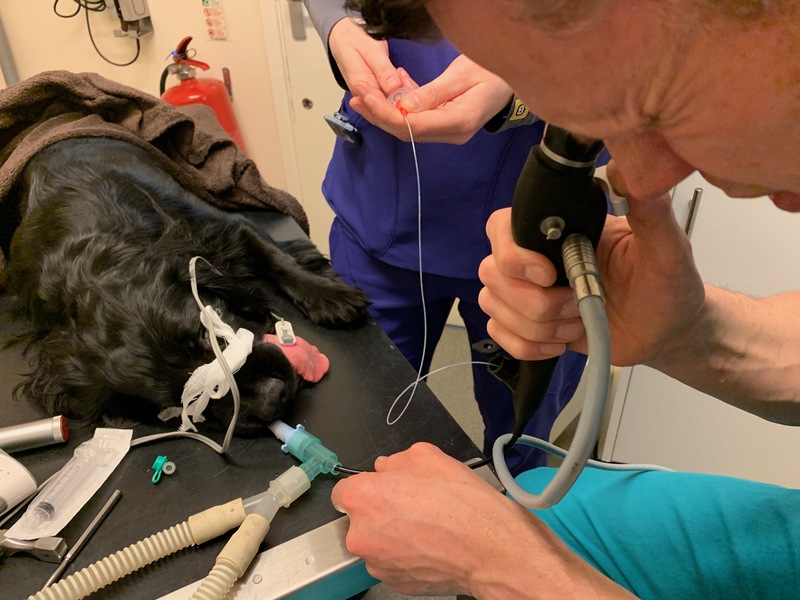 When combined with the rigid foreign body retrieval device the scope can also be used to spot and remove or dislodge foreign bodies from the back of the throat or the oesophagus (food pipe down to the stomach) – a rare but life threatening problem. 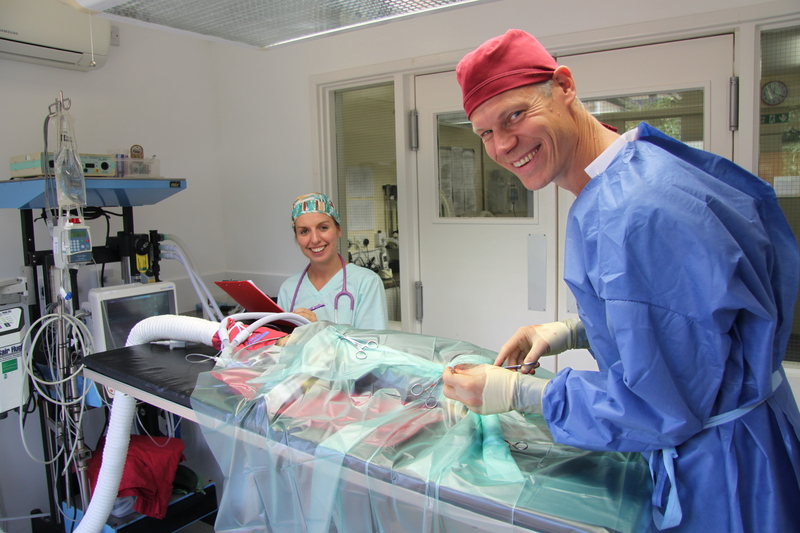 We also have access to larger endoscopes allowing us to examine and biopsy the stomach or intestine when necessary (for example repeated vomiting or chronic diarrhoea). 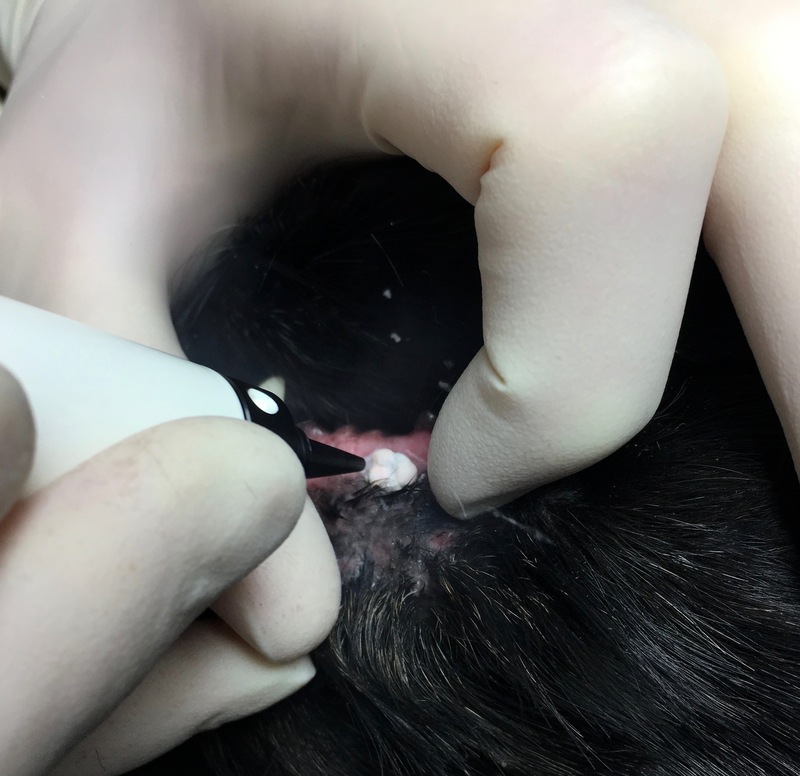 We now have the facility to perform conscious wart and skin tag removal through cryosurgery. 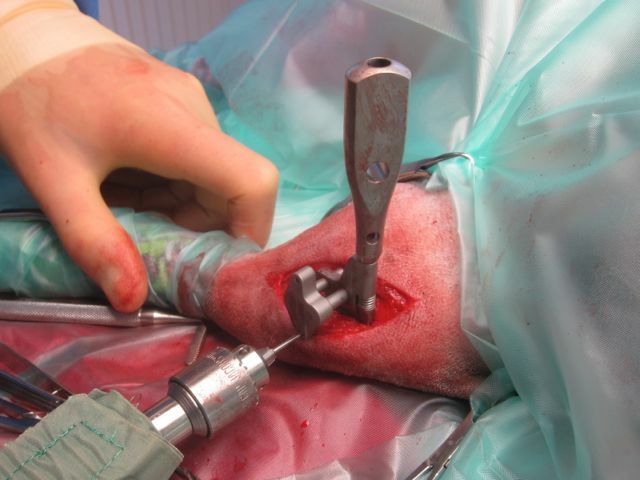 This is where localised areas are frozen for a short period of time using a cryopen. 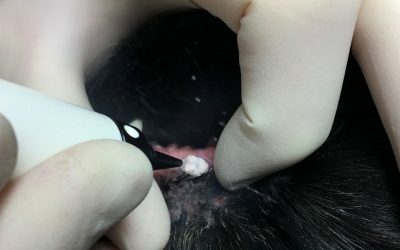 This kills the localised area, and warts and cysts drops off within a couple of weeks. 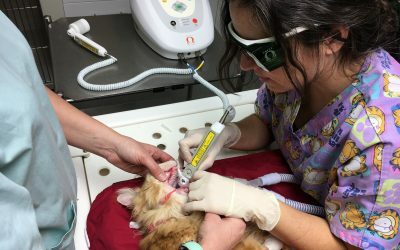 Over 80% of cats and dogs over the age of 3 have dental disease, and more than 30% of cats suffer from a condition that causes painful holes in their teeth. 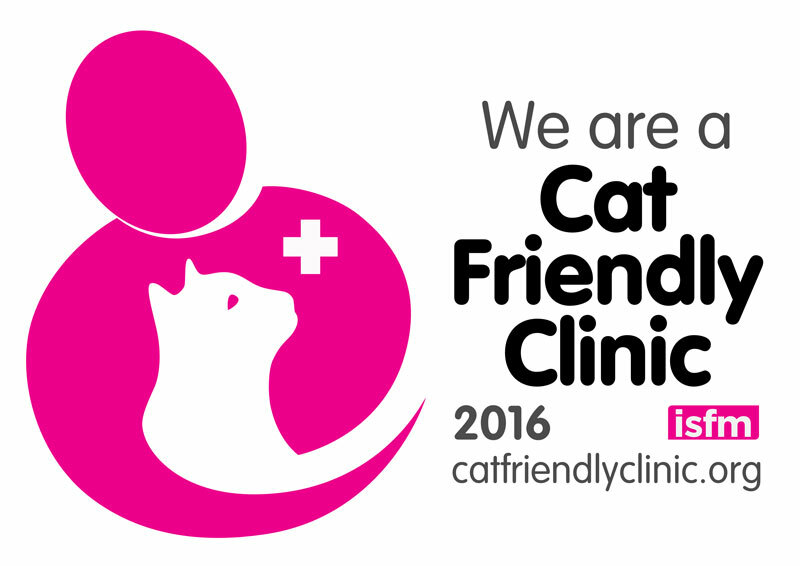 As dental disease can be easy to miss it’s important to bring your pet for regular dental check ups. 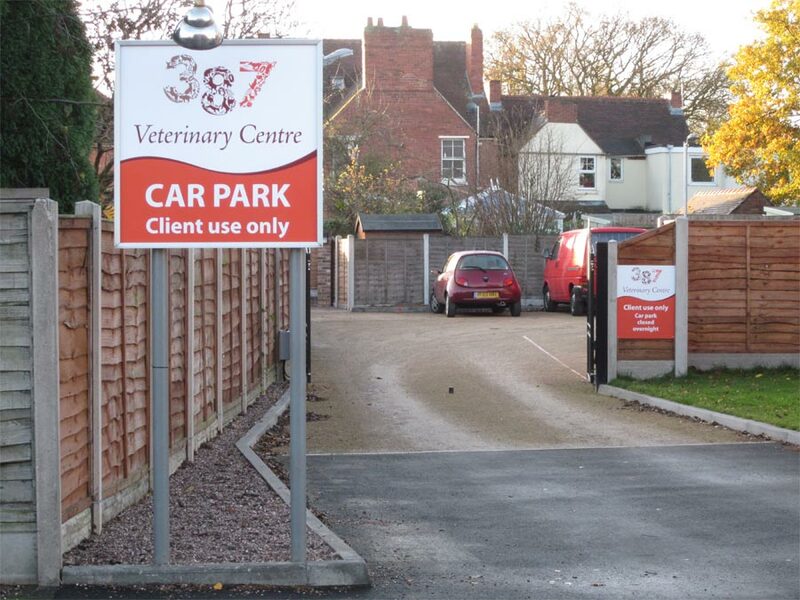 At 387 Vets we offer excellent dental facilities for a full range of treatments. 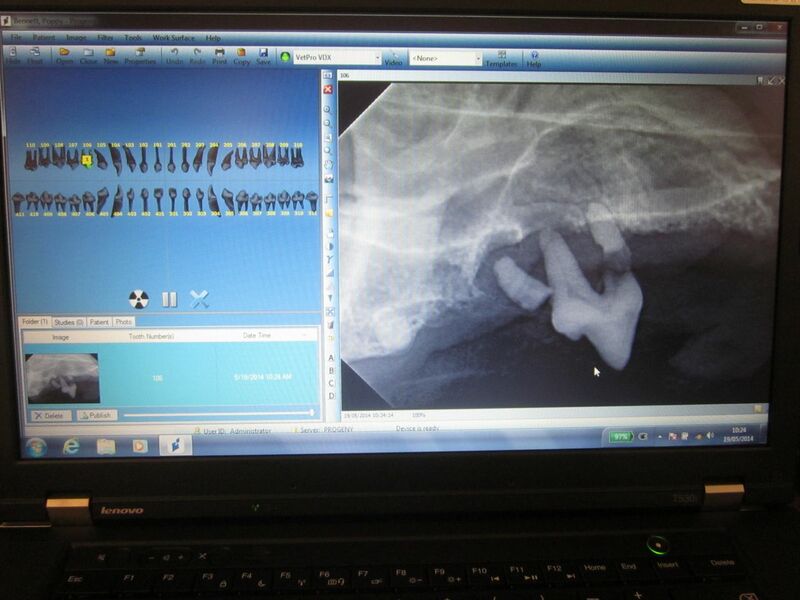 We use a ‘direct’ or DR radiography system specifically for x-raying teeth because the x-ray image clarity is amazing. 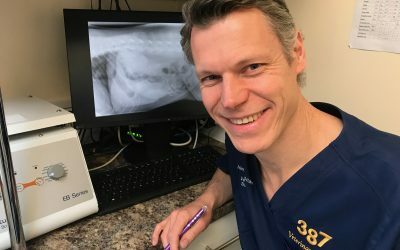 Whilst visually damaged teeth and gums are easy to identify, many painful disease processes, such as tooth root abscesses, broken roots and ‘resorbing cat roots’ are only revealed using high quality x-rays. 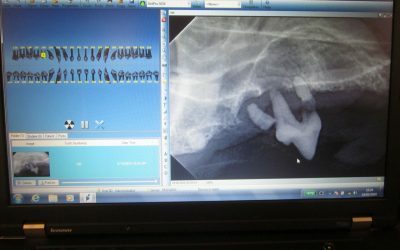 Without dental x-rays (which few vets have or use) dental work involves a lot of guesswork and vets can cause a lot of unnecessary damage. 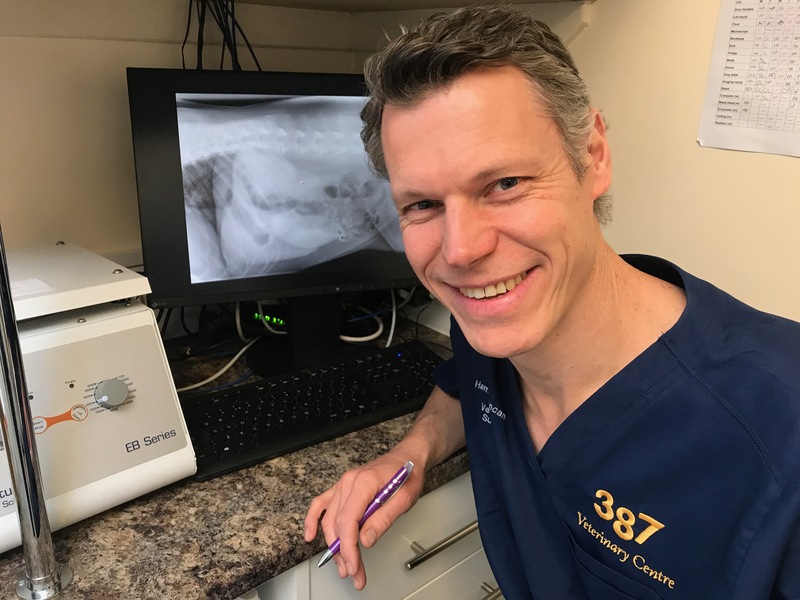 Our digital dental x-ray machine enables us to exactly identify problematic teeth, for targeted cost-efficient treatment: we get to the root of the problem to avoid on-going ineffective care. 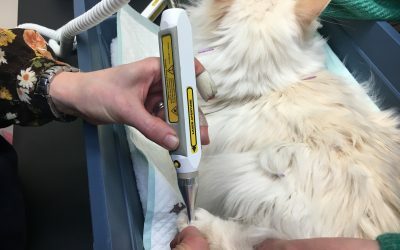 We perform the latest extraction techniques and use special nerve blocks to eliminate post-op pain for your pets. The iM3 dental unit and ultrasonic dental scaler is used for all our scaling procedures. 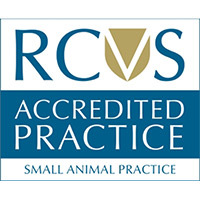 This scaler is recommended by veterinary dental specialists as it is the safest, quickest, most effective veterinary dental scaler currently on the market. The round titanium head scales the teeth clean without any pressure and destroys bacteria by ultrasound. We also have the iM3 air driven dental unit for cutting, drilling, polishing and burring treatments. 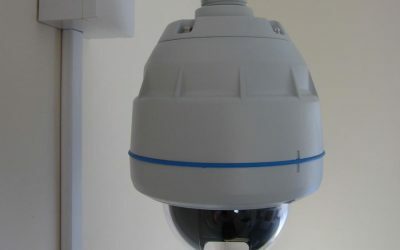 This machine has many unique features including fibre-optics (for increased visibility) and CLS (a disinfectant that increases hygiene) for optimum care. 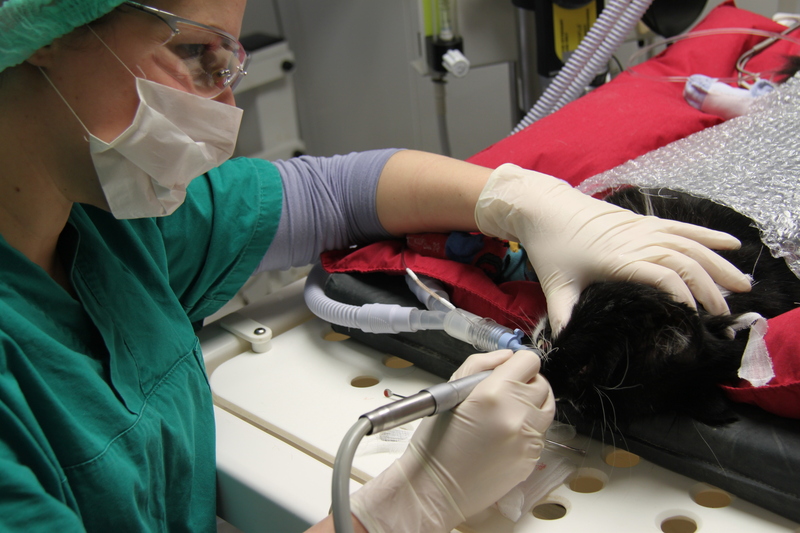 For rabbits and rodents we use a slow speed dental burr. A diamond disc cutting burr is used for the controlled cutting of incisors whilst a long, straight diamond burr is used to burr molar teeth. This is safer, more accurate, less painful and kinder than uncontrolled clipping of teeth which we strongly advise against. Our tub table, which is made from a special antimicrobial plastic (Polystone® Microbloc), helps maintain a high standard of cleanliness during dental procedures as all water and waste drains away immediately. 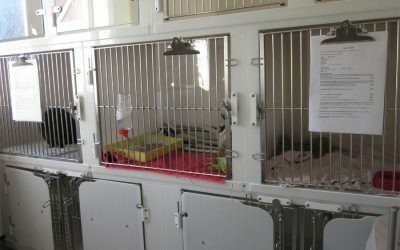 We can also use the ‘tub’ as a bath for animals. This piece of equipment is required for assessing and diagnosing heart conditions where the heart rate or rhythm is affected. 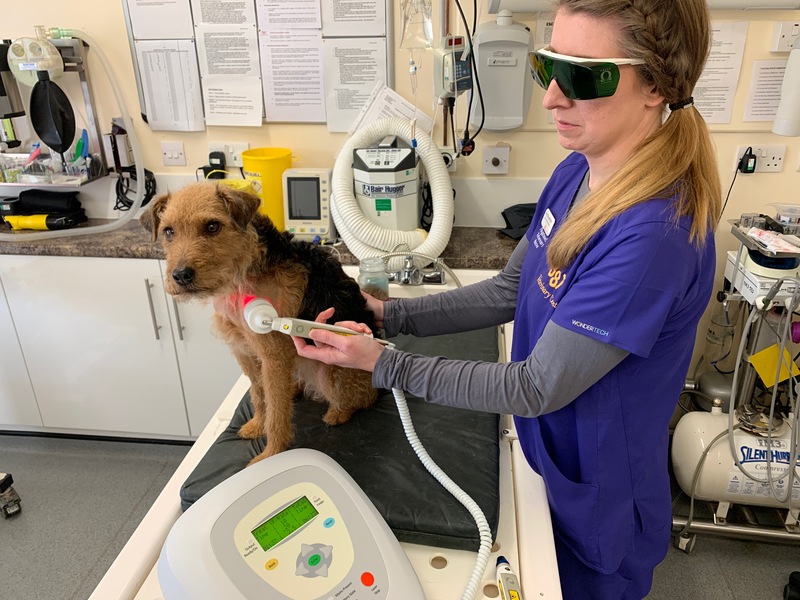 We have recently purchased a portable laser therapy unit to enable us to offer low level laser therapy, and support rehabilitative care and pain management in a wide range of pet health issues. 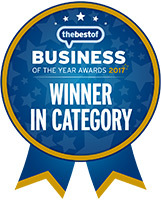 Healing: laser therapy increases energy and protein production by cells which encourages cell multiplication and new cell growth. 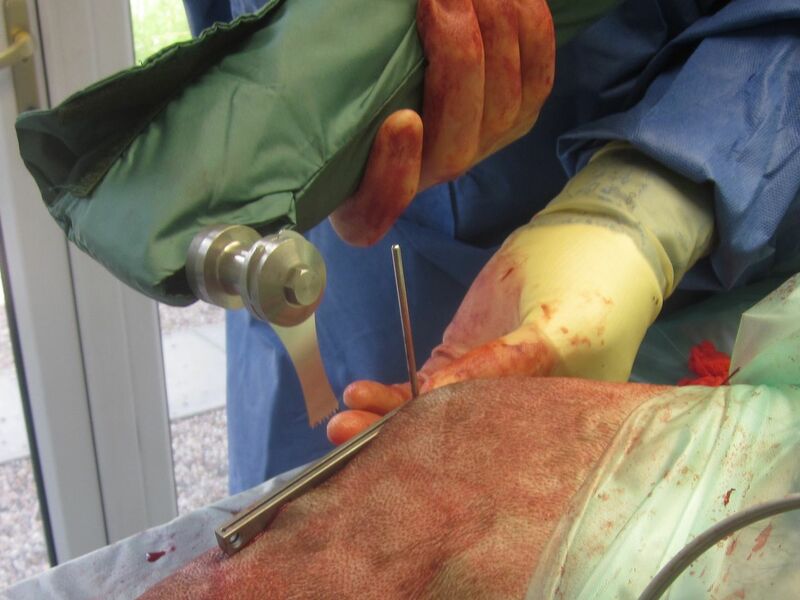 This in turn speeds up the healing process for faster wound recovery. 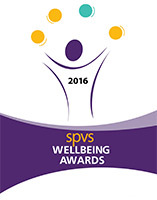 Pain relief: laser stimulates the release of endorphin (natural pain inhibitor) and serotonin (which makes you feel happier). 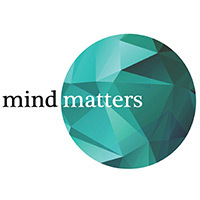 It also suppresses nociceptors (pain receptors), reducing the pain sensation in the body. Immune system support: immune cells become more active in response to laser, improving the body’s ability to fight infection. 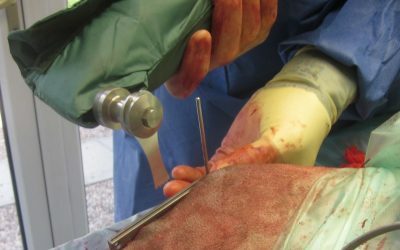 Clinical Director Hamish Duncan was fortunate enough to work alongside an orthopaedic surgeon in his last practice, and gain experience of best practice of bone and ligament repair. 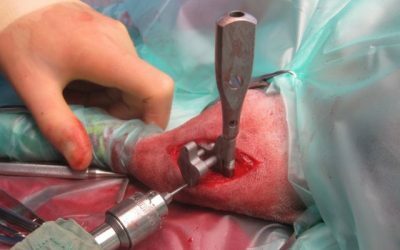 In 2013, after practical training, Hamish started to use the TTA Rapid technique for cruciate injuries, This is an updated, titanium cage version of the original TTA (tibial tuberosity advancement) procedure, one of the preferred surgical options for cruciate ligament repair, especially in big dogs. 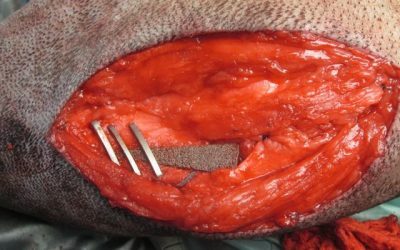 The new advanced Rapid technique is a more straightforward, faster adaptation, resulting in a more robust and stable result. 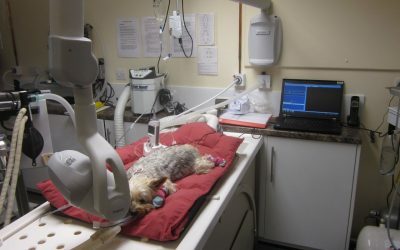 In 2014 Hamish attended further practical training for a technique known as MMP (modified maquet procedure). 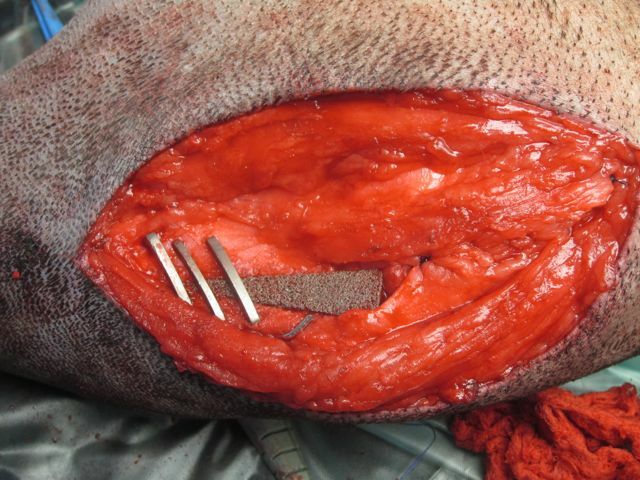 This is similar to the TTA Rapid but uses titanium orthofoam instead of the cage and screws with the advantage of a faster healing process as the foam ‘sticks’ to the bone edges within days, creating a strong union and a stable structure. 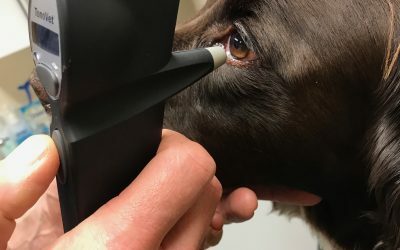 This is a veterinary specific tonometer: an instrument used for accurately measuring intraoccular pressure (eye pressure). Eye pressure that is too high or too low can be symptomatic of more serious eye disease. 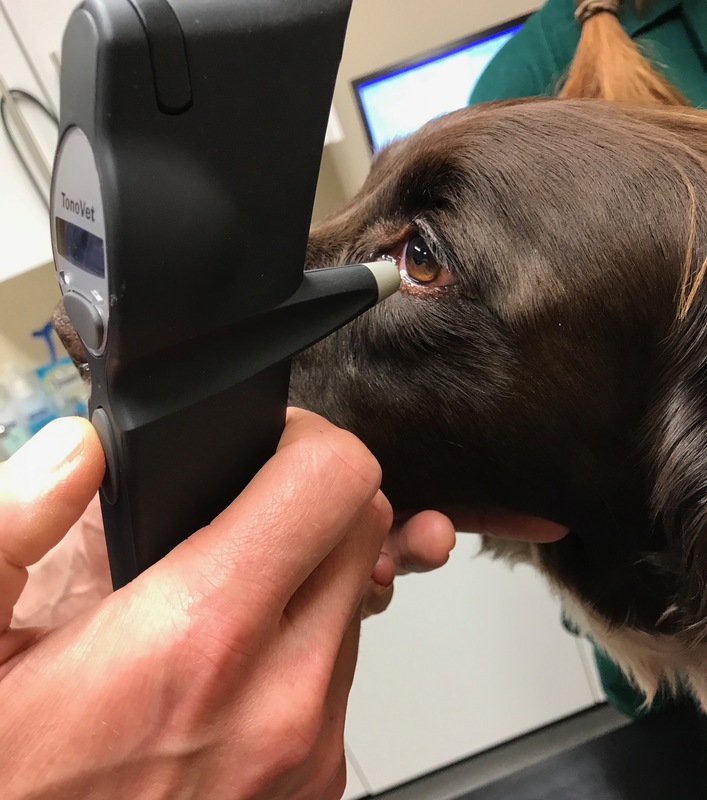 Red eye with no obvious cause should always be tested with a tonometer, as red eye indicates swelling. 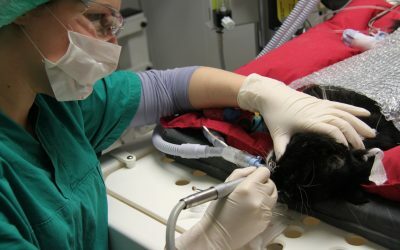 Measuring intraoccular pressure facilitates making a diagnosis and could even save an animal’s sight. 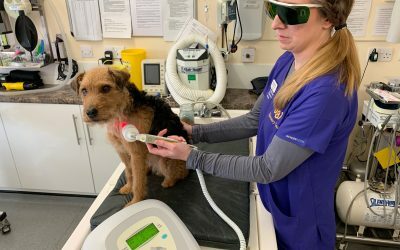 The Tonovet® works on a rebound-measuring principle: a very light probe is used to make momentary, gentle contact with the cornea and gives a reading of a pet’s eye pressure. Contact is so light, the movement is barely noticed by the pet. 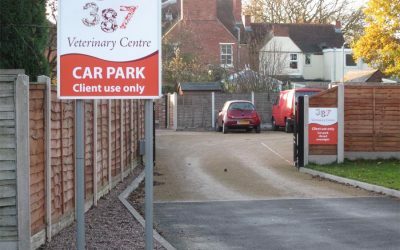 For clarity and quality of image, the practice has invested in an ex-NHS ultrasound machine which has been reconditioned for veterinary use. We have three probes to allow us to examine different structures at different depths in different ways. 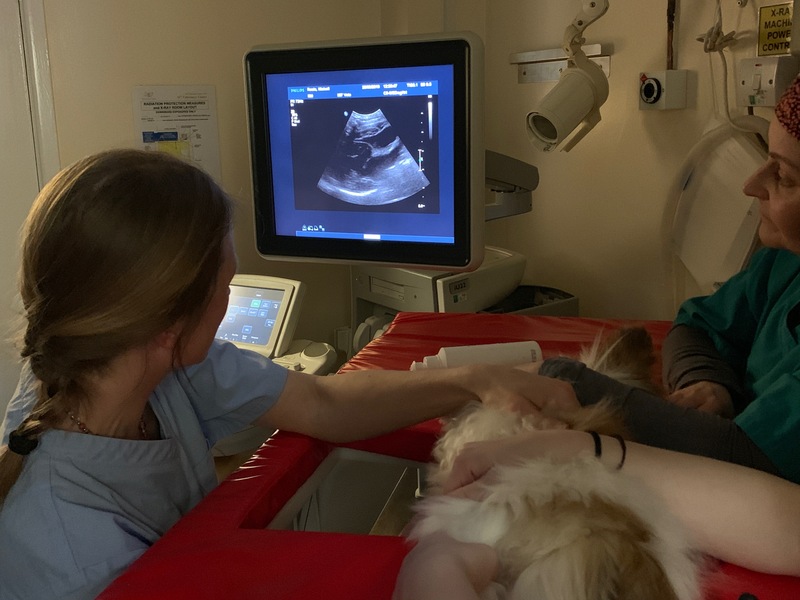 We increasingly use ultrasonography for investigation of both abdominal and thoracic conditions. 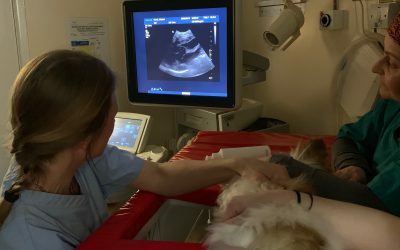 Whilst X-rays give us a still two-dimensional ‘photograph’, the ultrasound machine uses sound waves to create a ‘moving picture’ (or video) of your pet’s insides. 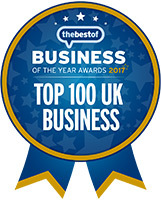 This enables us to look around a particular organ or cavity, or watch the way things are moving, and build up a 3d impression or understanding. 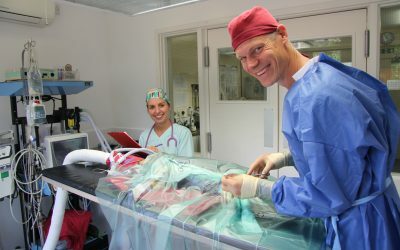 For example, we can scan throughout the liver, the kidneys or the spleen, looking for changes within the architecture of these organs, or we can watch the movement of the heart in the chest to see if it is contracting well, if the valves are damaged or if the chambers of the heart are enlarged. Our powerful wall-mounted X-ray machine and digital processor allow us to take, develop and read high quality X-rays ourselves. 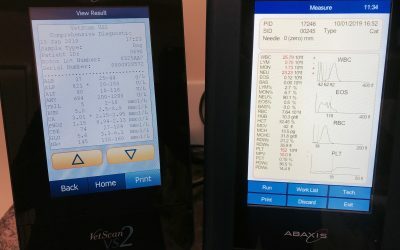 This helps us to reach diagnoses on a number of conditions – lameness and bone problems, and diseases of the abdomen and lungs/heart – quickly and effectively. 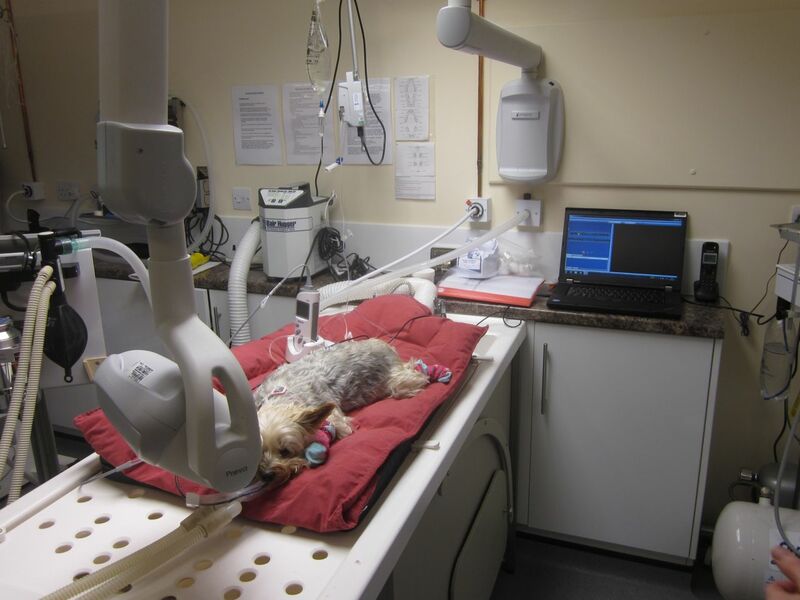 For dental procedures, we use our digital dental radiography system. This is a digital x-ray machine which feeds through incredibly detailed x-rays to a laptop for interpretation. 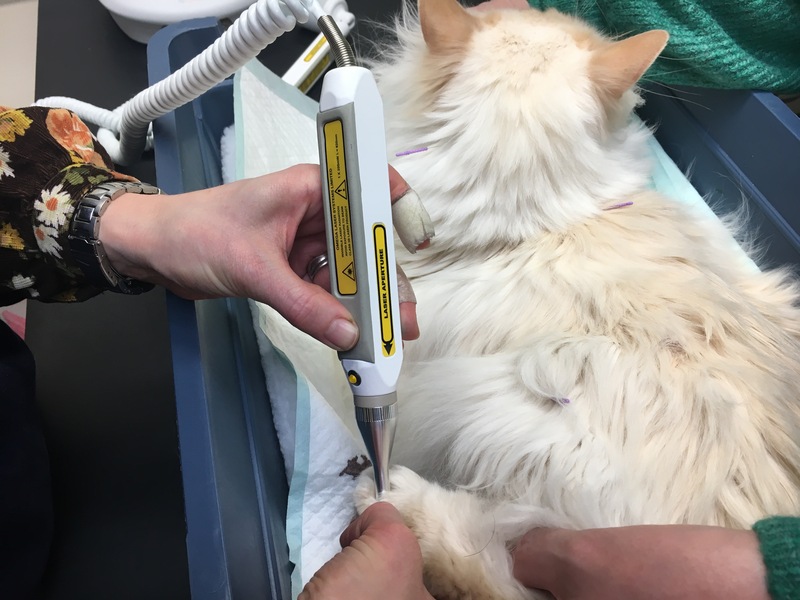 The system enables us to make accurate assessment and reach early diagnosis on conditions such as a suspected root abscess. 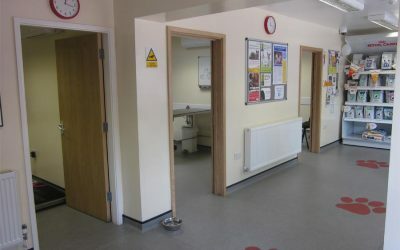 See our dental facilities section above.